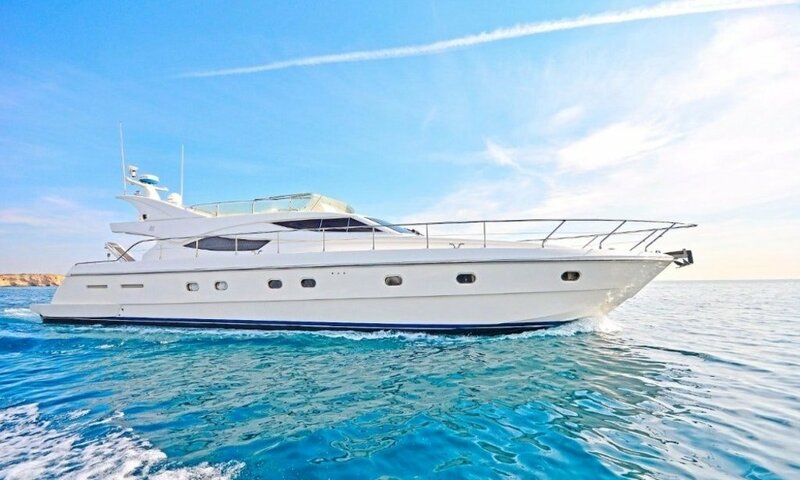 The Ferretti 62 is the perfect size for the classic luxury Motor Yacht. She features spacious entertaining areas on both the main deck and exterior cockpit. 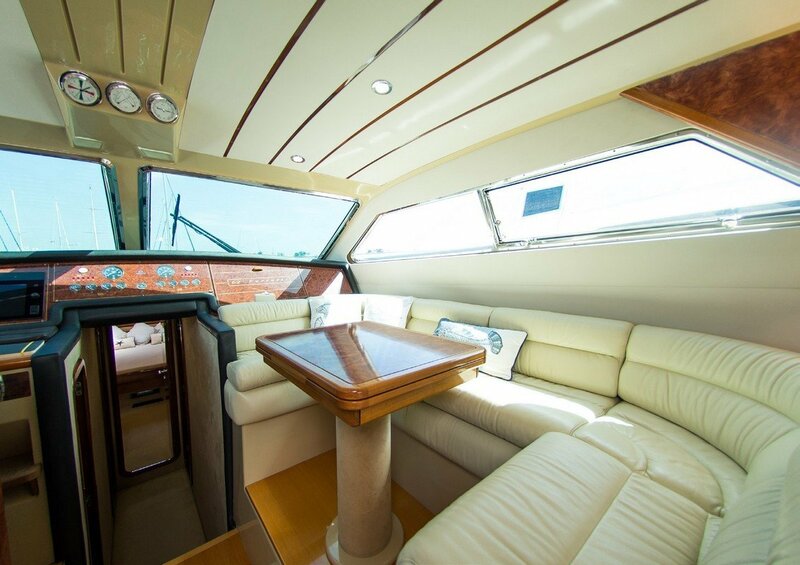 The lower deck has two large guest staterooms and a full beam master stateroom with large open view windows. 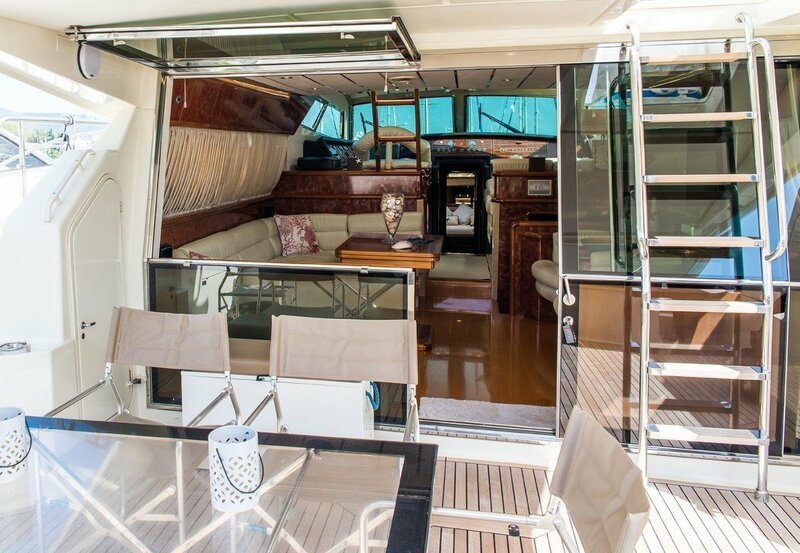 The large cockpit is per­fect for outdoor entertaining. 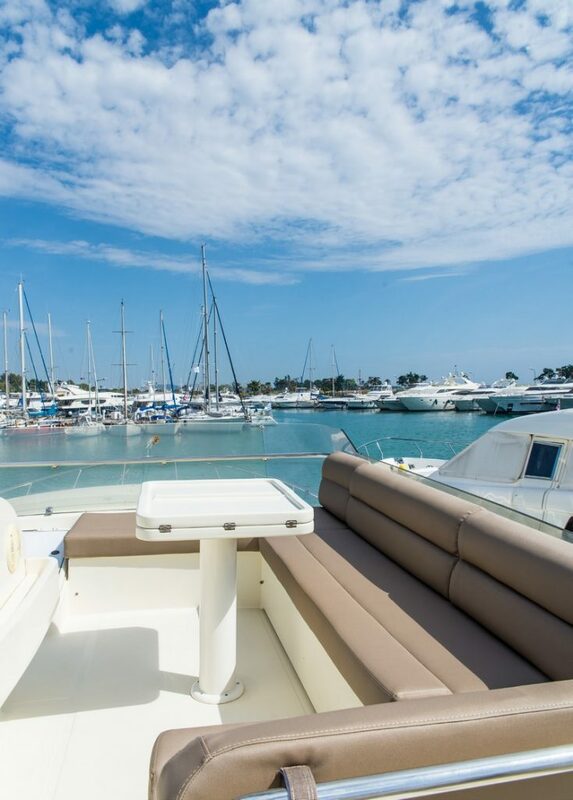 The master cabin is unusually large with a double berth and goodsized wardrobe with plenty of storage areas. 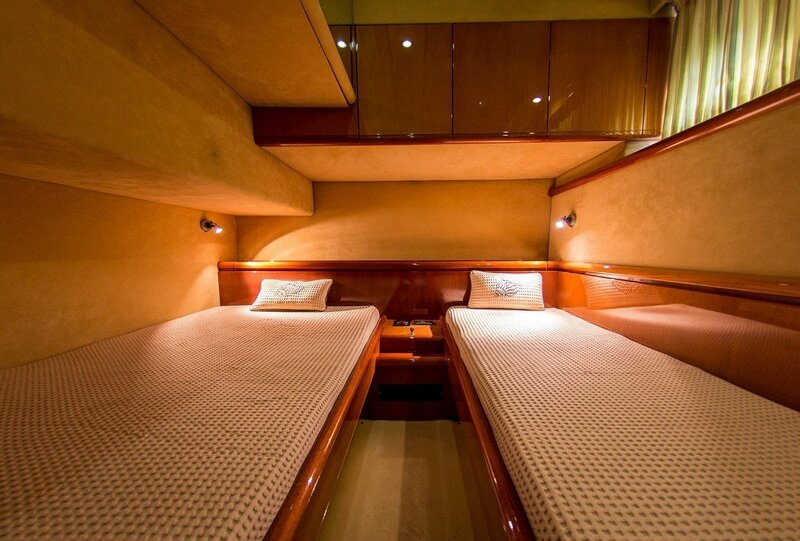 There are two other private staterooms with their own heads. The cockpit is wide, going nearly the full beam of 16’ 9’’ and there is plenty of room here for deck chairs and a table. 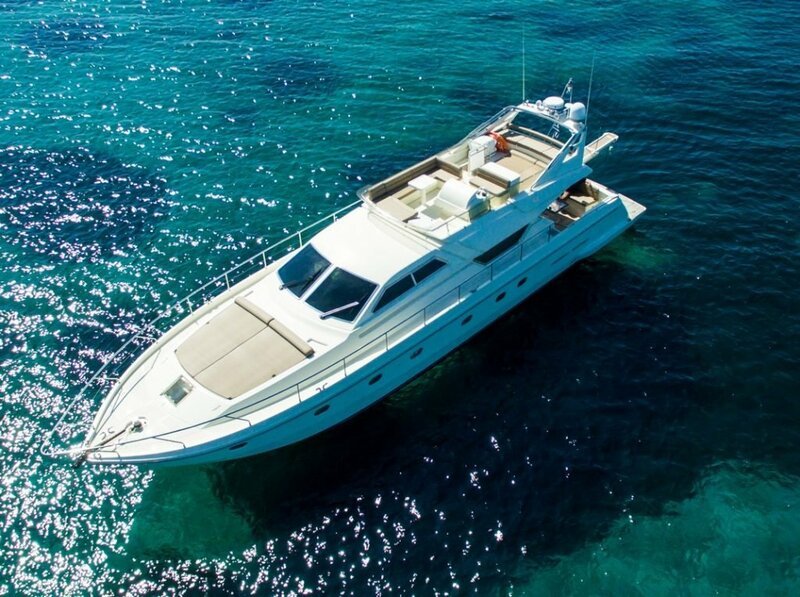 The Ferretti 62 is really an impressive and so­phisticated Motoryacht that stands out among the crowd in terms of high speed and style and combines all the amenities for a luxurious holiday in 62 feet!